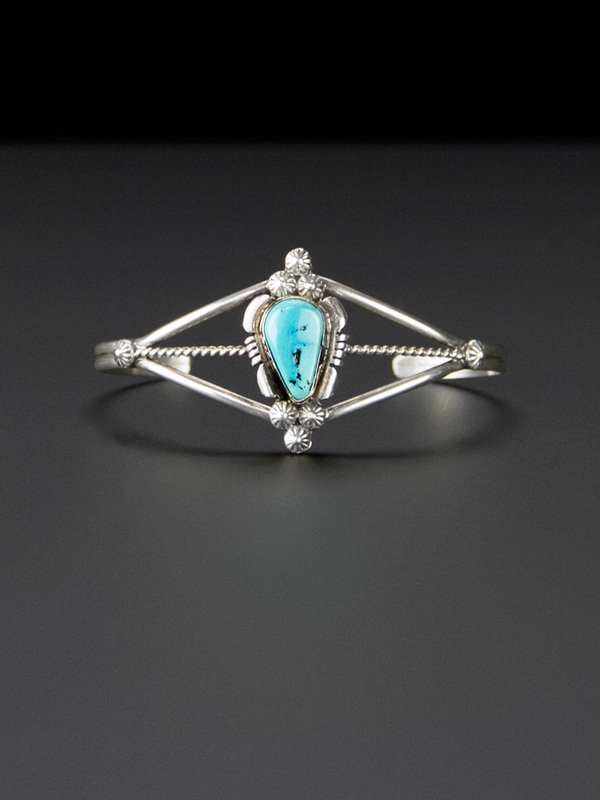 Stunning, delicate Navajo vintage cuff. Signed 'Sterling' and 'Marie B', this lovely delicate Navajo cuff has a lovely piece of raised turquoise in a berry setting, with rope detail. 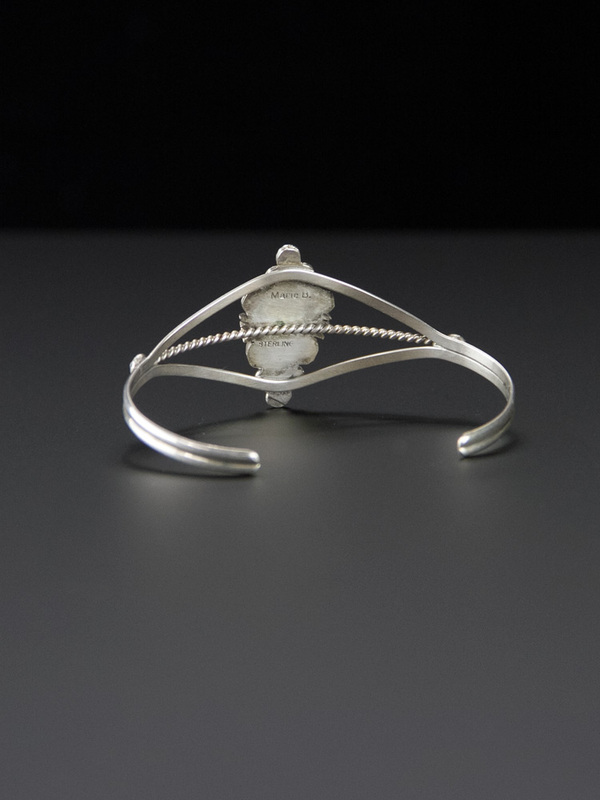 These authentic pieces of vintage jewellery are handcrafted by Native American silversmiths between the 40's - 80's. 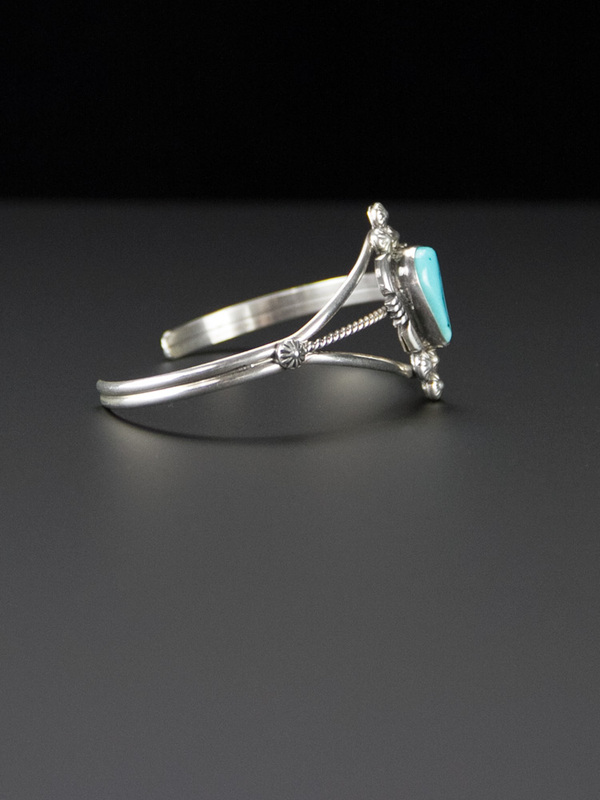 If they are not marked, they test Sterling Silver; they are Navajo, Zuni and Hopi made. They are hand wrought so many have a handcrafted look to them, stunning vintage pieces - they will come with some patina on them, as level of polish is a matter of taste.